We were looking for a Sunday lunch near the beach and Whitstable came to mind. 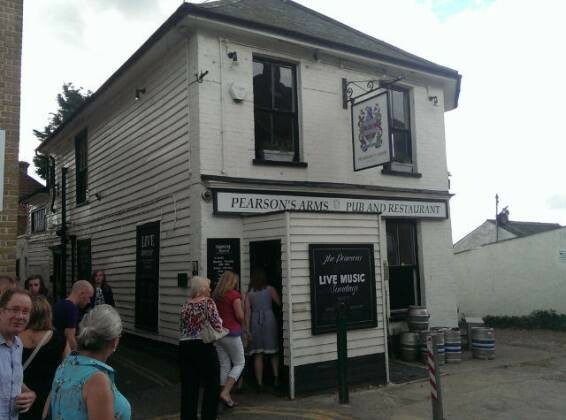 After a bit of a search, I found The Pearson Arms by Richard Phillips. The food here was excellent, we thoroughly enjoyed all courses (including the free bread). My roast beef was really good, as were the roast potatoes. Claire enjoyed the lemon posset dessert, it was very sharp and sweet at the same time. A top rated Sunday lunch! 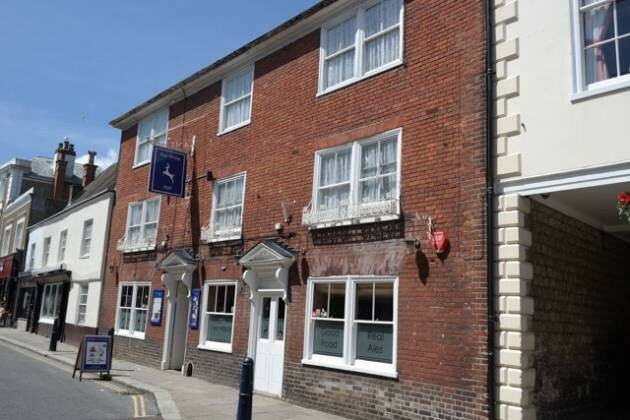 We were visiting Hythe in Kent, so obviously I searched for a venue to review for Sunday lunch. An old pub situated on the High Street, The White Hart was a bit too dark for a bright Sunny day. The service was poor initially, but did improve through the meal. The Sunday roast was quite good, with a nice selection of vegetables (including cauliflower cheese!). Overall, Sunday lunch at The White Hart in Hythe scores 3/5. Sunday lunch in Whitstable is starting to become a habit. This time, we visited The East Coast Dining Room, in Tankerton. A delicious meal served in a smart restaurant. The service was excellent as well. 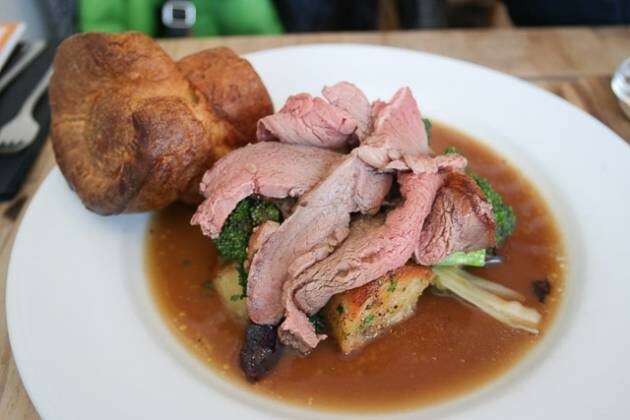 This isn’t really one for families with young children, but is definitely a Top Rated Sunday lunch! 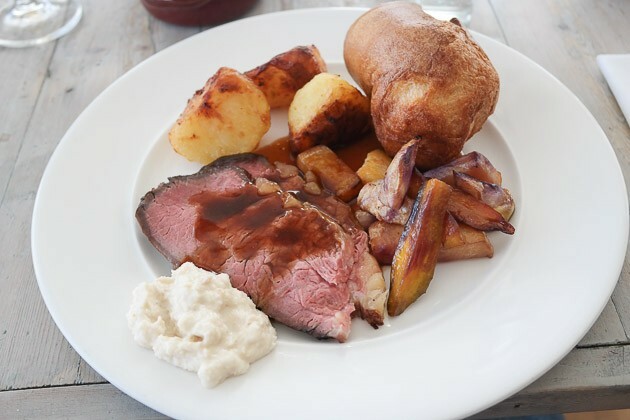 We were visiting Camber Sands for a week on holiday, I booked Sunday lunch at The Gallivant. It is a hotel on the main road from Rye, and had a large car park outside for easy parking. 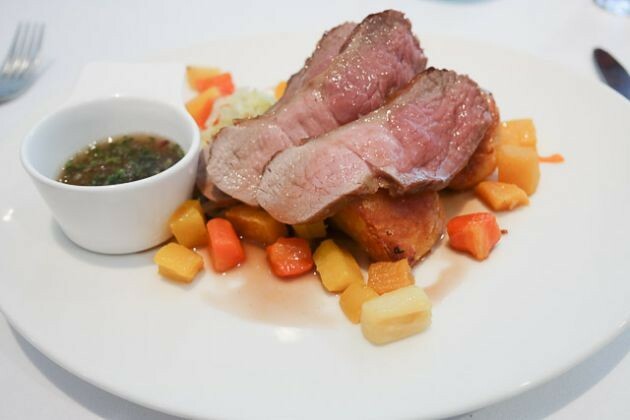 The restaurant is a relaxing but smart venue, with excellent food – especially the roast beef and sundae dessert. It is higher priced than most places, but we felt it was worth the extra. Suitable for family celebrations, The Gallivant is Top Rated!